UPSKIN O+ is an anti-aging face treatment device which utilizes technology, This technology combines three kinds of energy:Infrared Radiation(IR)that affects the upper layer of skin for improved skin texture, Red Light(LED)that reaches into the dermis for rejuvenation and collagen restoration, and focused Bi-Polar HEAT energy(Bi-Polar HEAT)that penetrates deep into the subdermal fat for deep tissue tightening and wrinkle reduction. 1) UPSKIN O+ protects your skin. 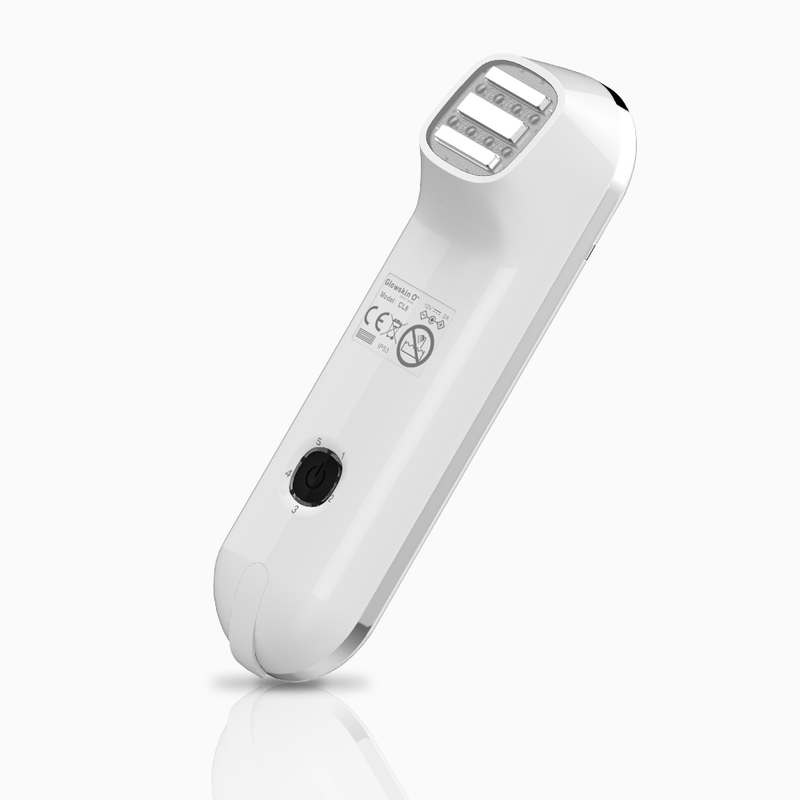 2) UPSKIN O+ comes with a unique built-in heat stabilizer to measure skin temperature and stabilizer the emitted heat energy. 3) To prevent overheating, a unique built-an heat stabilizer inside the UPSKIN O+ measures the treated Skin temperature during session.When a rise in the treated skin temperature is detected(48℃~50℃)，the stabilizer will automatically stop emitting heat, until skin temperature lowers enough for the stabilizer to resume heating. Note:Make sure the device is tightly pressed to your skin before starting and during treatment!